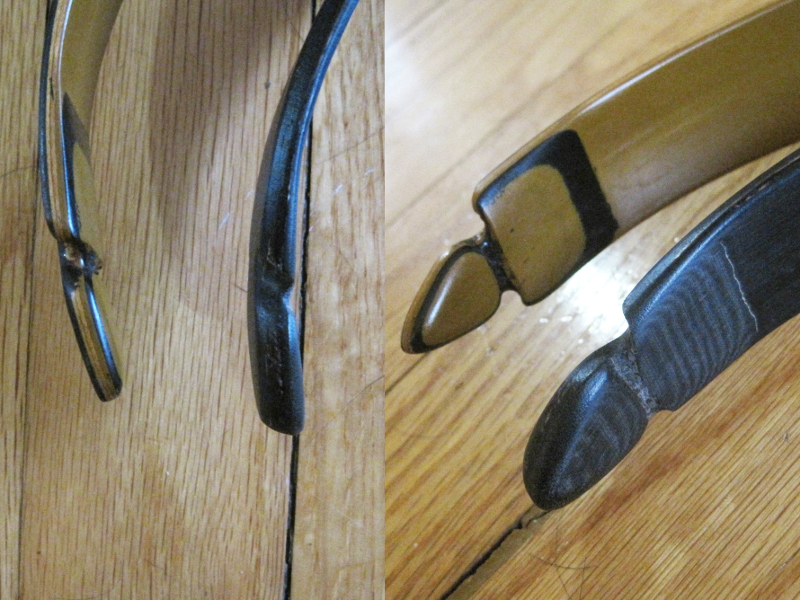 I know there's Wright Stalker Recurve review/posts but I just wanted to add this as Rodney's riser shaping seems to have gone through some refinement compared to 10+years ago. Black Phenolic version is Stalker. The other is Herters Perfection 46 for comparison. The riser is slimmer, and so deepest part of the grip is much further out from string, making BH higher with same length string. I have to experiment, but it may work better with longer string then what I have currently. Grip is narrow but puts pressure evenly in hand without needing to adjust anything. fist naturally fits right under the shelf so the arrow almost shoots off the fist. consequently it is bit easier to point (at least to me). Draws to my DL of 27inches no problem, but I can feel it almost stopping if I pull any further. this is pretty much the same as Herters. Quality of the work you can judge by all the close ups. I know Rodney took his time to get everything right. 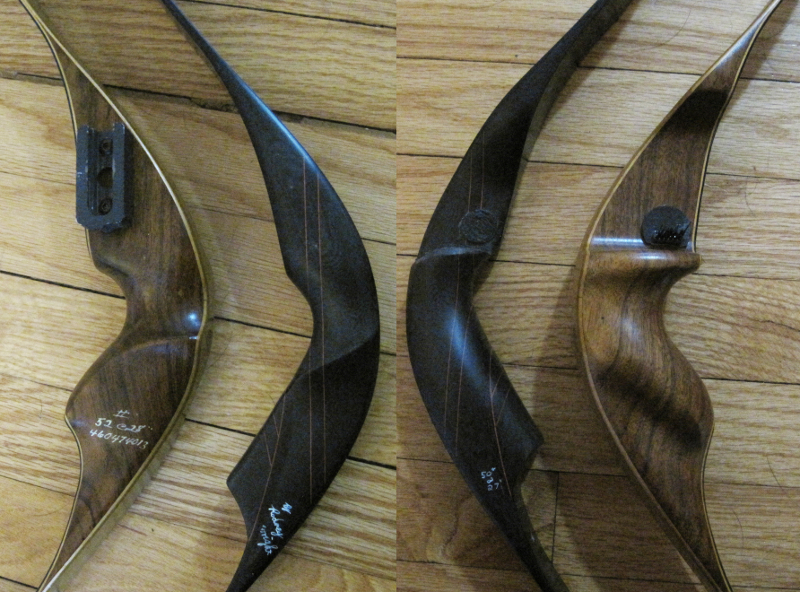 short recurve is what it is. 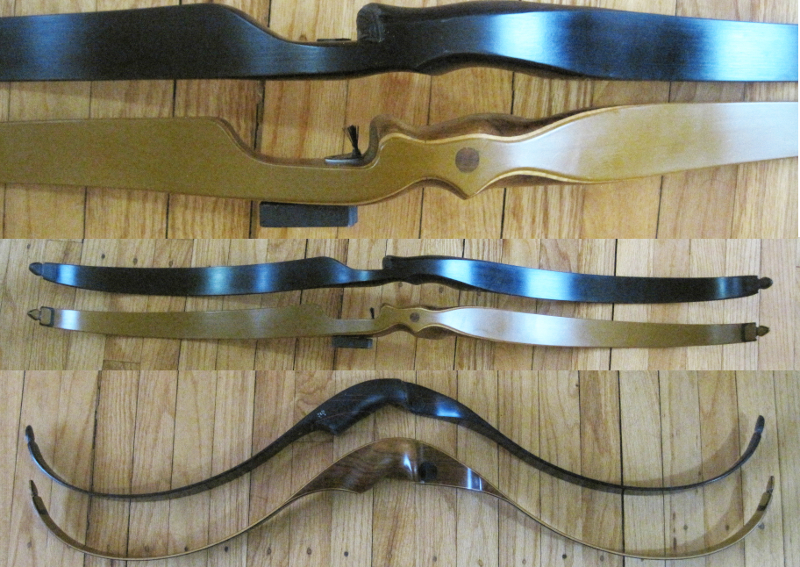 a very compact bow that allows good enough targeting ability at 20yd or below. 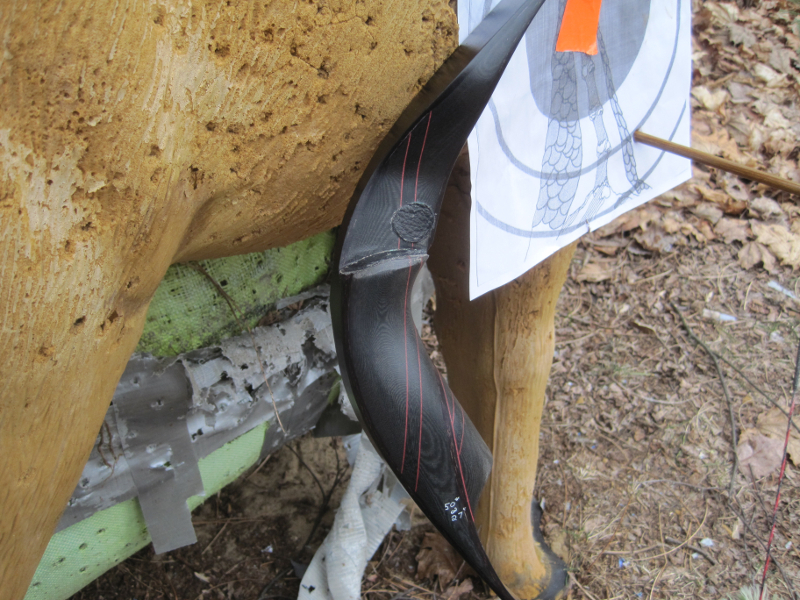 Herter's Perfection 46 was made for that purpose and Rodney Wright Stalker Recurve is in per with the ability of the old bow. personally, as an opinion, I feel that slimmer profile and certain care taken at the shelf gives Stalker better handling ability. 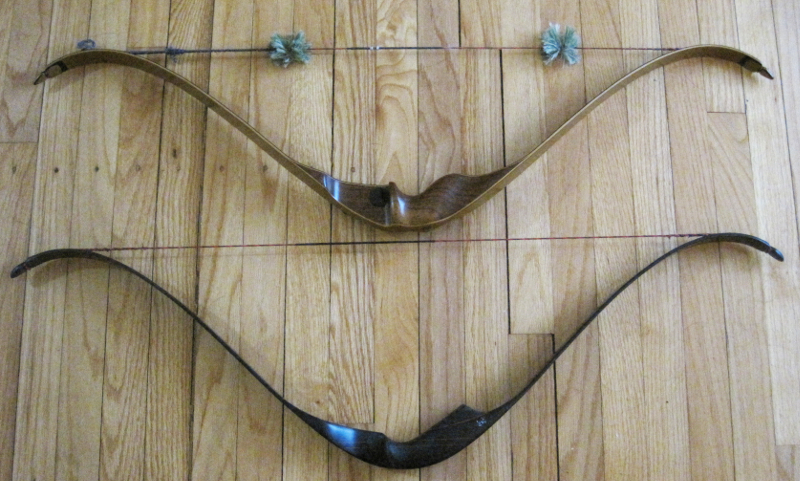 overall very happy with this bow.